Don?? let the soaking action stop! 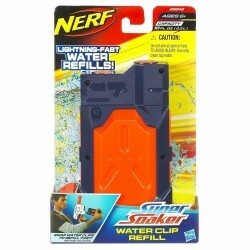 Fill up this water clip refill and keep it clipped to your pants or belt. 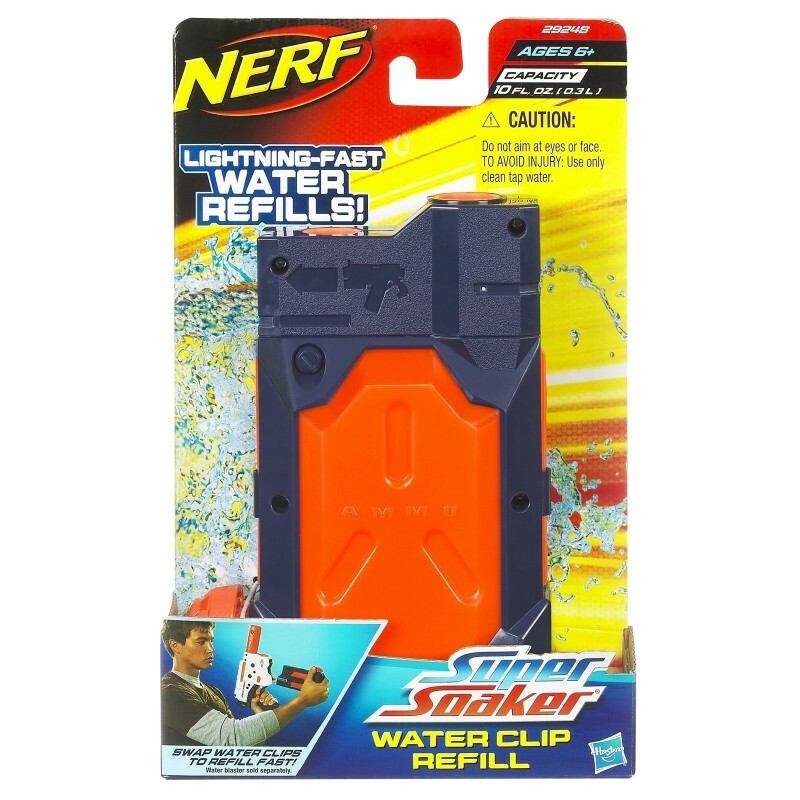 As soon as you run out of water ammo, swap this water clip refill with the empty clip in your THUNDERSTORM, TORNADO STRIKE or LIGHTINGSTORM water blaster (each sold separately). The lightning-fast clip switch will have you soaking your opponent again in no time!